The Signing Time Foundation is dedicated to making sign language fun and accessible to all children. We are committed to a vision of the world in which all children can express themselves and be understood. Rachel Coleman’s daughter Lucy who was born with spina bifida and cerebral palsy. Lucy’s little smile and zest for life was the inspiration behind the Signing Time Foundation. Lucy, like other teens, loves to be around her peers. However, because of her special physical needs, she often faces barriers. Dissolving “barriers” of all types and creating opportunities for all children to become friends is what the Signing Time Foundation is all about. Attend an event. Community Concerts, Private Events, Conferences, Group Walks or Fundraisers and more. Make a donation. Help us make a difference – one sign at a time! Invite Rachel to speak or host a Rachel concert. She is captivating keynote speaker with a truly amazing story. Benefit concerts are a fun and interactive event the whole family will enjoy. 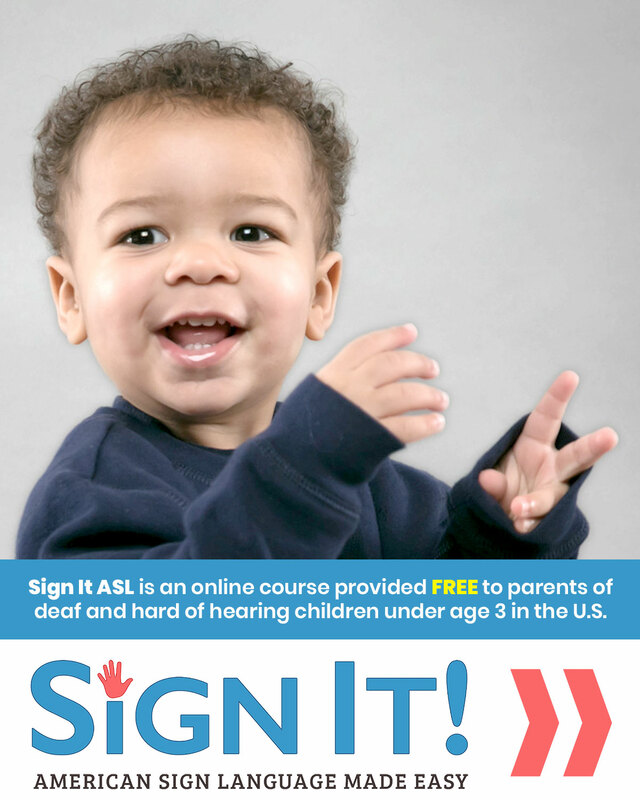 Sign It: ASL Made Easy is provided at absolutely NO COST to families with children ages 0-36 months, with hearing loss, within the U.S.A. through the partnership of The Signing Time Foundation and The National Center for Hearing Assessment and Management (NCHAM). If you qualify, fill out the application at www.MyDeafChild.org. Your donations will not only help more lessons be produced, but they will make them available to some of the families who need them most. Your donations will not only help more lessons be produced, they will make them available to families with newborns diagnosed with hearing loss within the U.S.A.
Rachel Coleman shares her journey at speaking engagements and concerts across the country through the Signing Time Foundation. She presented the following for Deaf Awareness Week in 2013. Rachel talks about her compelling journey that began when she learned that her daughter, Leah, was deaf.